Montana First Nation is located in what was once rich oil and gas country in central Alberta. But as the oil wells began to dry up, the small community was faced with the enormous challenge of finding new employment for many of their members who landed out of work. That’s when the idea of solar energy came up. The Nation partnered with Enmax Energy Corp. to install a 100kW system of solar panels on the roof of their band office, which immediately cut their power bill by 60%. From this first success, Montana First Nation decided to invest further. They founded Green Arrow Corp. Akamihk, the first Indigenous-owned and operated community solar energy company in western Canada. Green Arrow’s own team of trained band members is now installing solar panels and facilitating solar energy training sessions across Alberta. Wetchie describes the benefits that the community has experienced since they launched their solar company in 2012. The economic benefits – through local employment, community revenue, and power savings – have been the primary motivators for pursing this energy development. There are now dozens of community members trained as skilled labourers in solar installation and maintenance. Not only does this fuel the local economy, but it provides opportunities in a new, decentralized energy sector, allowing people to work within the community rather than having to travel far and live away from home. Vickie Wetchie emphasizes the pride that this has created in the community across generations – from kids learning about solar in school, to adults being skilled in a new industry, to Elders having panels on their houses. Renewable energy projects such as Green Arrow also align with Indigenous traditional values and lifeways. First Nations have holistic worldviews which are centered on concepts of interconnectedness and balance between all living beings. The rich land-based knowledges and practices stemming from this worldview have allowed Indigenous peoples to live on these lands for millennia, continuously adapting to social and ecological changes. “Going back to renewables, going back to low-impact. And thinking that way, ‘scientifically,’ but not really, because that’s just how we were already,” Wetchie explains. In many respects, harvesting renewable energy is something that First Nations peoples have been doing for generations, and combining these traditional ways of living sustainably with new technologies for low-impact energy generation is appealing to many. Indigenous communities across the country are increasingly pursing renewable energy development as ways to strengthen sovereignty and cultural connections to land, mitigate climate change and environmental damages, provide decentralized energy, and support local economies. Numerous First Nations, Inuit, and Métis communities have demonstrated leadership and resilience by initiating or partnering on solar, wind, and small-scale hydro projects. 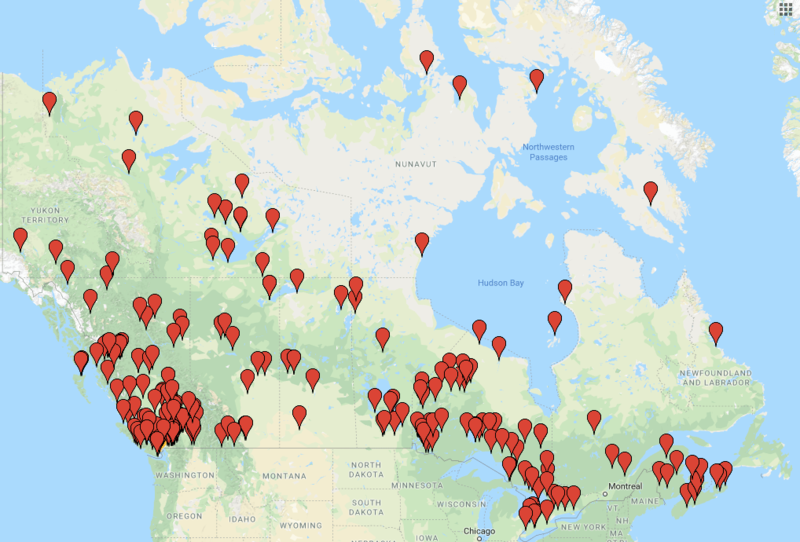 There are an estimated 300 Indigenous clean energy proposals and projects in 194 communities across the country, which have been catalogued and mapped through the Indigenous Renewable Energy initiative at www.indigenousenergy.ca. Indigenous peoples of Turtle Island (the Indigenous name for North America) are already disproportionately experiencing climatic changes, which includes an increase in severe weather events, changes in the duration and timing of the seasons, economic impacts to subsistence economies like hunting, farming, and foraging, and interruptions to other importation cultural activities. But many of these communities are also leading the way when it comes to understanding and addressing these challenges. Indeed, Indigenous peoples are organizing and collaborating across communities and geographies to create more sustainable futures for their communities. For example, Indigenous Climate Action is an Indigenous-led climate change coalition with members from across the country, currently working on a tool kit to increase community understandings on climate change and participation in solutions. As we endeavor to shift our energy systems toward sustainable alternatives across the country, we have a critical opportunity to rebuild our relationships not only with the environment but with each other. Indigenous leadership in renewables offers much to be learned in this respect, bridging new and old knowledge traditions, and showing the path forward as well as how to walk on it lightly.